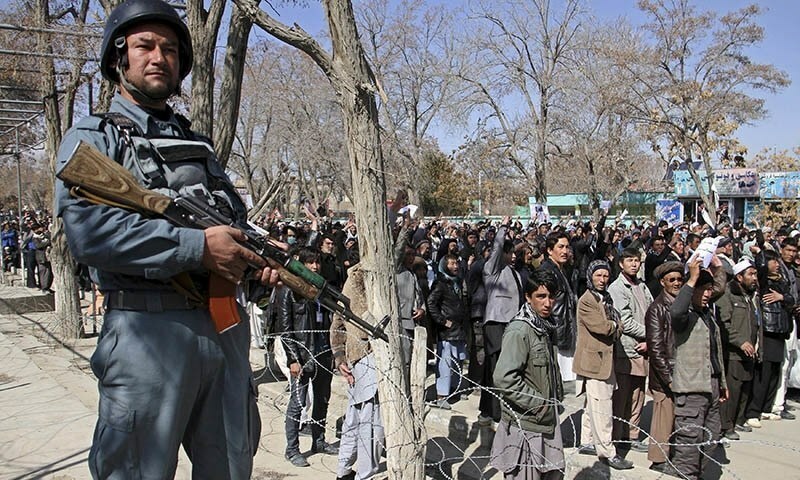 JNN 12 May 2015 GHAZNI: Nineteen of 31 Shia Muslim men abducted in Afghanistan in February were released Monday in exchange for scores of Uzbek militant fighters held in government prisons, officials said. Masked gunmen seized the minority ethnic Shia Hazaras from a bus in the southern Afghan province of Zabul in late February as they were returning from the Holy Pilgrimage from Iran. Government efforts to secure their release have been shrouded in mystery as the Taliban, waging a 13-year insurgency in Afghanistan, distanced themselves from the incident. “Nineteen Hazaras who were abducted in February were released today,” Zafar Sharif, a district governor in southeastern Ghazni province, told AFP without offering any more details. Asadullah Kakar, a provincial council member of Zabul province, told AFP the Hazaras were freed “in exchange of 22 Uzbek militant fighters”. Kakar said “these Uzbek militant fighters were detained when they entered Afghan soil from the bordering North Waziristan tribal area of Pakistan. “But Hasan Reza Yousufi, a provincial council member in Ghazni province, claimed there was a lower number of the exchanged prisoners, saying “10 to 16 Taliban detainees from Chechnya and Uzbekistan” were part of the swap. Shia Hazara Muslims are often the target of sectarian violence at the hands of Wahabi Terrorists in Pakistan, though such attacks have been relatively rare in Afghanistan. The unusual abduction sent shockwaves through the community, evoking memories of the Taliban’s rule from 1996 to 2001, when minorities , especially the Shia Muslims were heavily persecuted. Family members of two of the 19 men told AFP they received calls from the government in Ghazni confirming their release and officials added that the remaining abductees would also be released imminently. No one immediately claimed responsibility for the abduction in February, but kidnappings for ransom by bandits, local militias and Taliban insurgents are common in Afghanistan. But the kidnappings triggered speculation that the men had been seized by Afghan Terrorists who have pledged allegiance to the Islamic State group. Terrorists last month conducted IS-style beheadings of five Shias who were abducted in southeastern Afghanistan, highlighting a growing pattern of insurgent assaults on ethnic minorities. Those ethnic Hazaras were kidnapped in the restive province of Ghazni after they travelled out of their home district to shop for cattle. Nearly 200 Hazara Shias were killed in early 2013 in two major attacks in the Pakistani city of Quetta, capital of Balochistan province which borders southern Afghanistan. This entry was posted in Asia Pacific and tagged Afghan, Prisoner Swap, Prisoners, Shia Hazara, taliban, Uzbek. Bookmark the permalink.